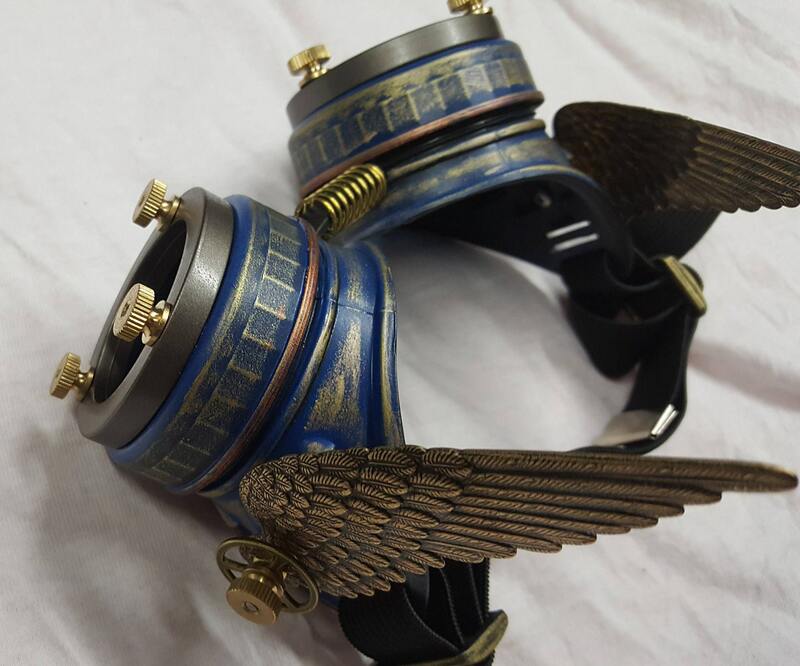 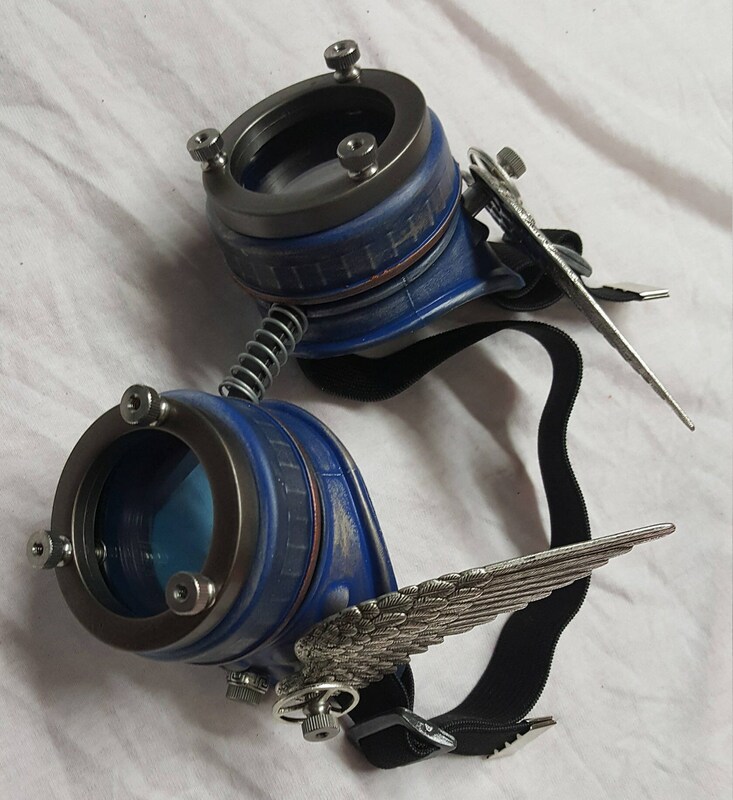 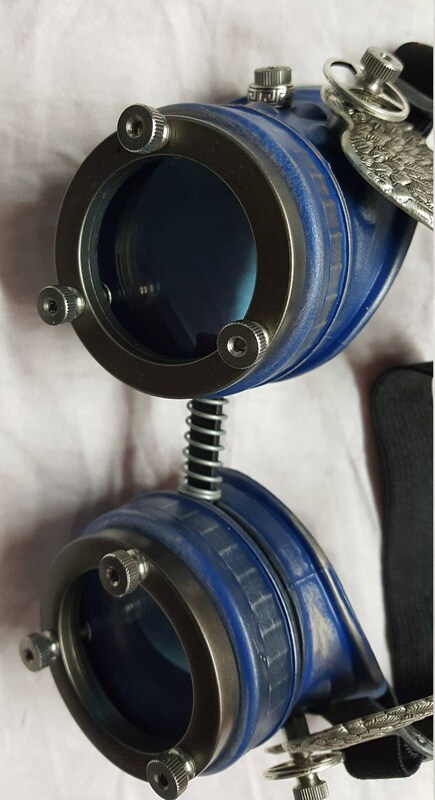 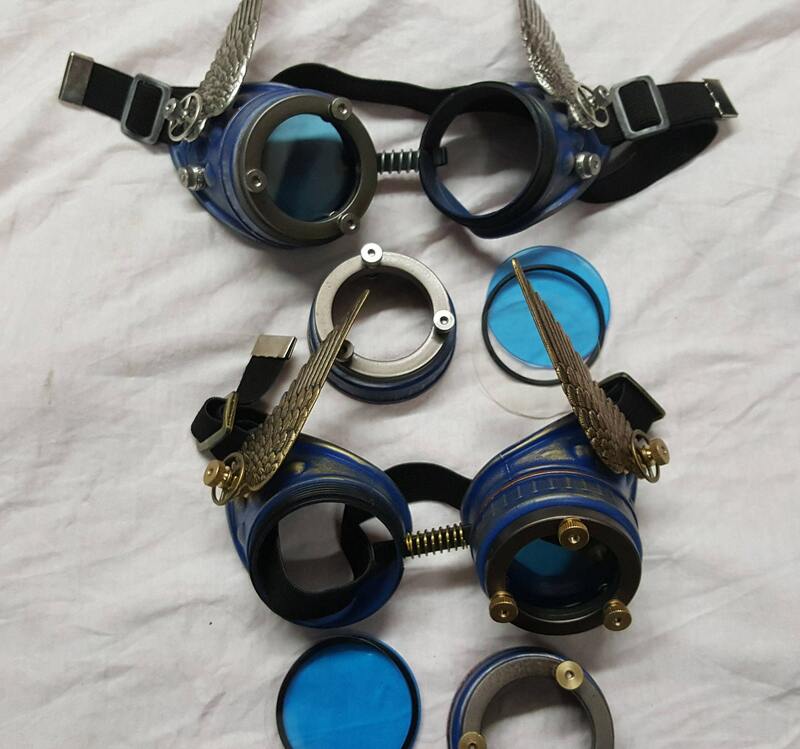 These goggles are a Steampunk creation inspired by Wonder Woman. 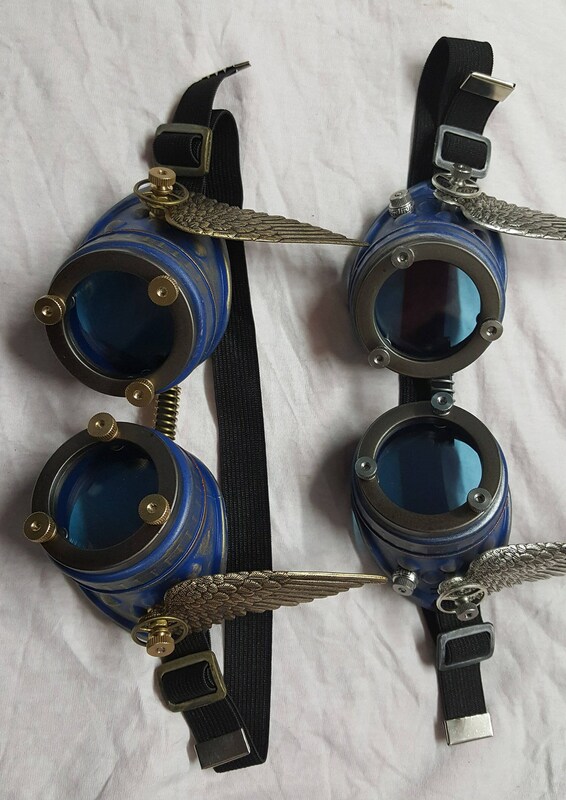 -They have a blue base coat with Silver or Gold highlights and a metallic red trace around each eye cup. 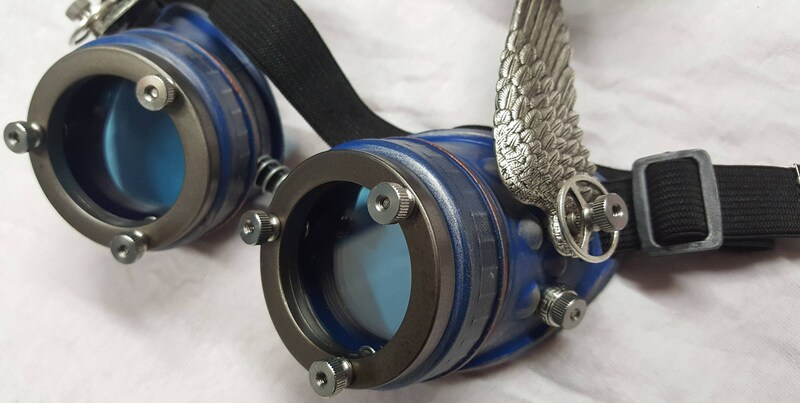 -Aged stamped metallic silver colored or brass metal wings which are mounted to the sides of the eye cups with stainless steel/brass knurled nuts and gears. 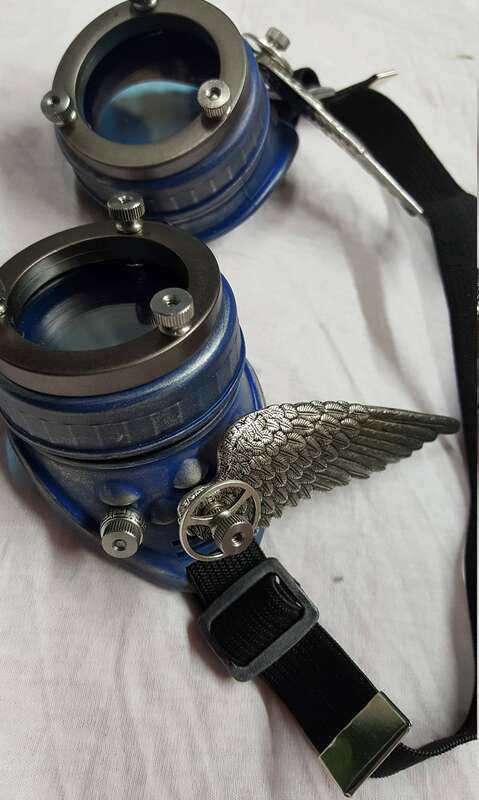 -Pewter hued plastic extension rings are also attached to each eyepiece with stainless steel/brass knurled nuts. 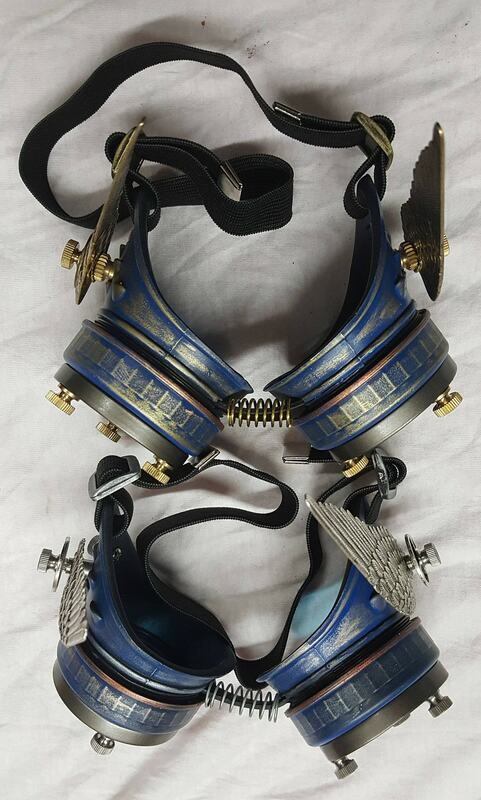 -They include 2-50 mm clear poly-carbonate lenses, 2-50 mm poly-carbonate blue lenses,Greek key pattern beads on each eyepiece and a 3/4" black elastic head band.